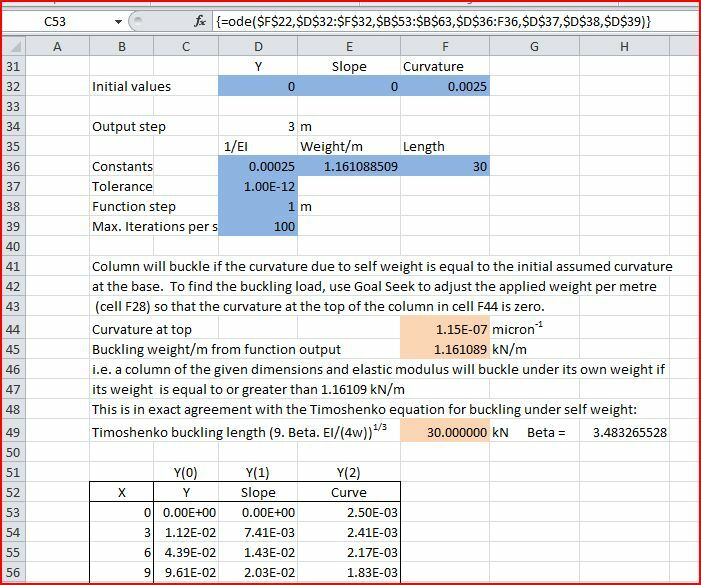 Coincidentally, at about the same time as I wrote about column buckling for a column with a point load on the end, Autar Kaw at The Numerical Methods Guy was writing about buckling of columns under self weight, using the theory of Stephen Timoshenko. Where B2 is a constant equal to 3.483265528 and ρgpr2 is the weight of the column per unit length. This routine has been added to the spreadsheet ODESolver-Buckle.xls, which is available for free download, including full open source code. 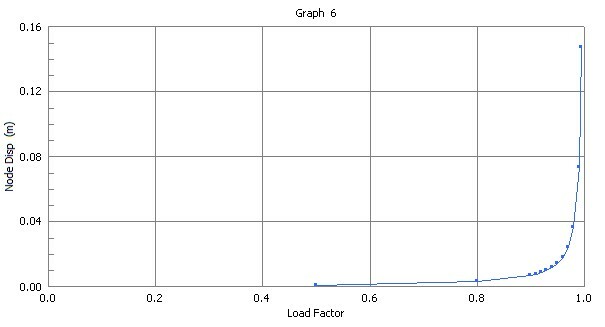 The results of the analysis are shown in the screen shots below. Note that the Runge-Kutta analysis has given exactly the same critical length as the Timoshenko equation. 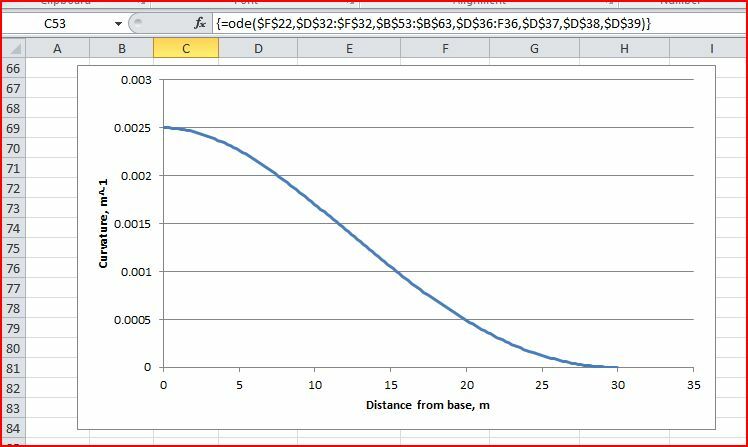 This entry was posted in AlgLib, Beam Bending, Excel, Maths, Newton, UDFs, VBA and tagged AlgLib, column buckling, Excel, Runge-Kutta, Timoshenko, UDF, VBA. Bookmark the permalink.